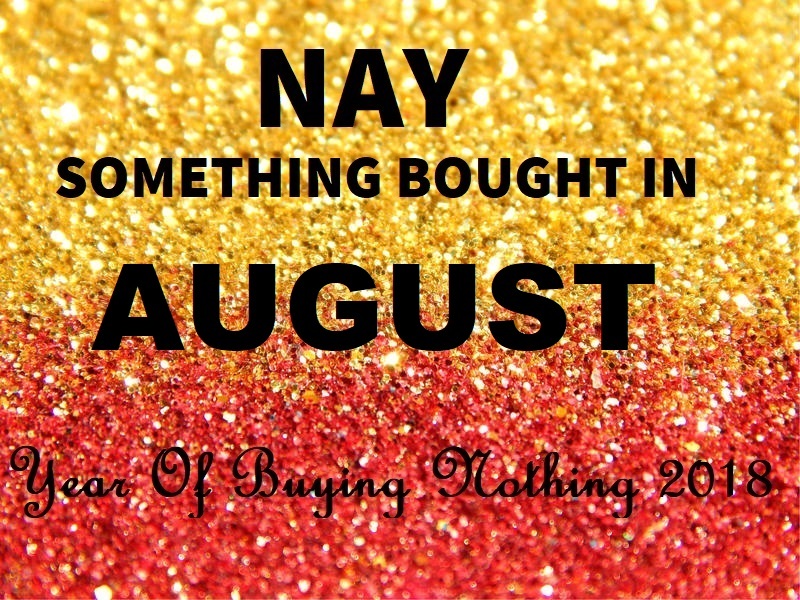 Keeping the tally – Our record thus far – January, February, April, May, July = nothing bought. March, June, August = something bought. Out of 8 months, three = a buy month. August while great in many aspects was a tough month for this challenge for many reasons. I actually thought maybe it is time to put the brakes on and quit the challenge. Never quit, never delete, never surrender! I’m going to keep going BUT I do need to recognise that I am not super woman. Yet another spend month. As I mentioned recently I will not begrudge any of it because it has been shopping time – and walking time, and lunching time, and dinner time – spent with a much loved one. 13 days of spending in total *boggle*. It would be easy to say lets just give up and not set a goal, but I would like to try and keep spending days to 10 next month. I’m allowing a couple extra as we are travelling to Canberra for 2 nights. You won’t believe this but I am now so used to shopping once a fortnight only, we completely forgot to spend our $50 at Coles to complete 4 weeks of spending $50. I was so mad at myself. But they’ve offered us the same offer again and we are now two weeks into that one. I’m setting reminders all over the place to make sure we achieve it this time. Mostly I am stocking up on our favourite roasts with these $50 spends as we really do not need much else at Coles these days. For the first time in 2018, I put fuel in my car. There has been an increase in driving due to work, plus all the “toodling” my Aunt and I had been doing. I paid the rather obscene price of $1.81 per litre for the really good fuel, as I felt Polo deserved such pampering given the excellent fuel efficiency thus far in 2018. I am sure that the tank will receive at least one more fuel-up in 2018, possibly two given on how much I can carpool to work with others. 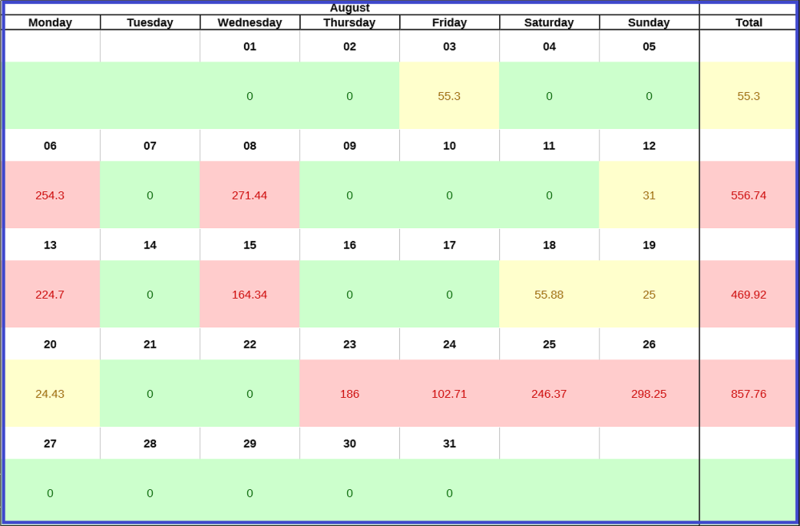 The biggest reason August was tough was due to a big increase in the days and hours I am working. There was one week in August where I worked 7 days in a row. Most weeks were at least 5 days of work. When you add in the massive learning curve I have been on learning a new job I had never done before plus all the from-scratch cooking I have to do now that The Other Half needs less sodium, it was a huge month. Throw on top of that – The Other Half has decided he would like to do some online University studies, which means I lose him – and his chopping skills in the kitchen – for at least 2 hours most weekdays. He is kicking off with an advanced math course for the next 6 months, and then next year he will be starting a degree. I’m going to increase use of the food processor rather than his chopping and I’m trying to do even more batch cooking where we have leftovers for dinner another day just to give me less time in the kitchen. Spending nothing is still such a strange concept to me! I admire your Other Half for his studies (and even his chopping skills). I don’t think any of your spending has been irresponsible. It was a rather hard commitment to set for yourself and you have done pretty well. $1.81 for petrol? Wow. 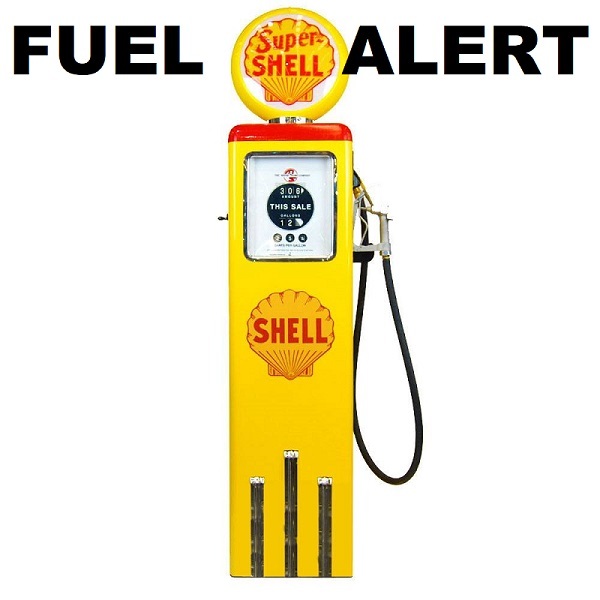 Our normal petrol this year has been down to $1.20, recently sitting at $1.40 and now just gone up to $1.60.